As Creative Director at Mediacurrent, Sheree provides clients with an immersive and engaging user experience through empathy and behavioral science. 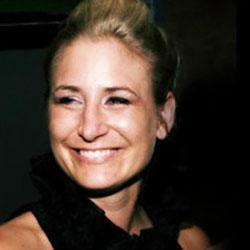 With 15 years of award winning agency experience, Sheree has been privileged to work with iconic brands including Harley-Davidson, AT&T, Kellogg’s Special K, Tupperware, Budweiser, The Home Depot, Toyota Scion, Listerine, Dancing with the Stars, American Idol, Southeastern Conference Sports, NCAA and Sony Pictures. Her Drupal projects include eCommerce sites for Aaron’s and Homesmart. Her team’s recent project include higher education sites for Georgia Tech, Alvernia and USC Libraries. She is currently working with Emory Goizuetta School of business on a full site redesign.